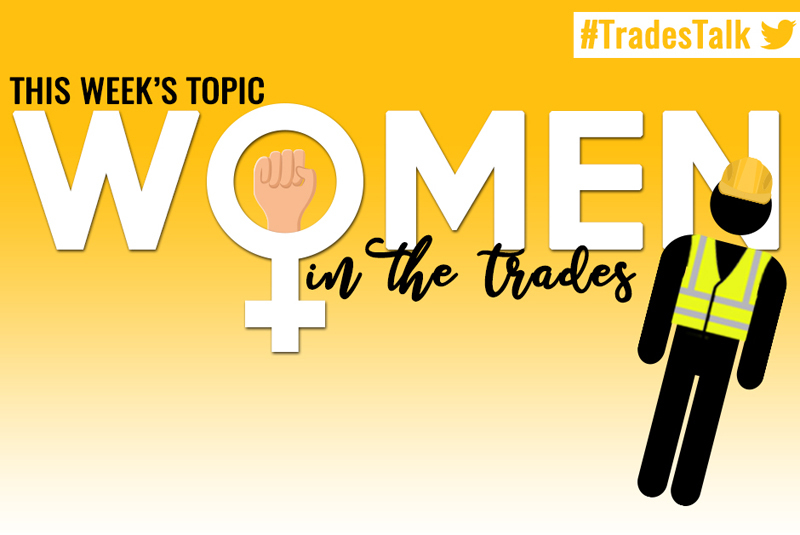 This week’s #TradesTalk discussion on Twitter looked at how to encourage more women into the trades. There were so many interesting comments from tradespeople around the UK, which you can find by looking on Twitter and searching the hashtag #TradesTalk. Here is our round-up of the best bits. The chat started by looking at what barriers there might be to women working in construction. One thing i found is that preconceived ideas were more prevalent on domestic jobs than commercial jobs. On site they dont give a monkeys.Domestic customers think Im the secretary when I answer my phone, or think Im driving my 'husbands' van lol. The next question looked at why getting more women into the trades is important. I enjoy working on site and have never had a problem. If you want the best talent, though, are you seriously telling me that 95% of the country's best plumbers, electricians etc. are male? A2 Everyone has different skill sets. All areas of industry are better served when talent from all walks of life are allowed to participate. At the height of a skills shortage, the industry should be encouraging everyone to get involved. We then asked if there are schemes out there set up to encourage women into the trades. The topic of workwear designed for women was next up. @Engb_Strauss do great women's workwear! @jobman obvs!!! There were some great bits of advice for aspiring tradeswomen. And the final question of the night was about how (and when) to start inspiring the tradeswomen of the future. Absolutely, or even nursery and then be part of a whole strategy of visibility, role models and support. And introduce kids reading books with male and female workers? Like ol biff and chip..
#TradesTalk takes place on Twitter every Tuesday at 8pm, talking about anything and everything to do with working in the building trades. To join in simply follow @TradesTalk.